Regular user of Swiggy? 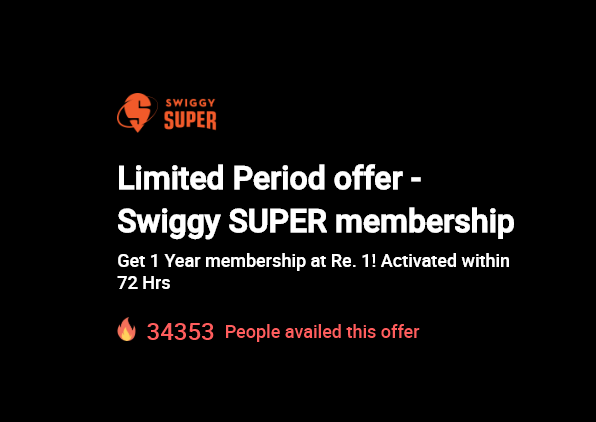 Thinking to buy Swiggy super membership to avoid delivery charges, surcharges etc? 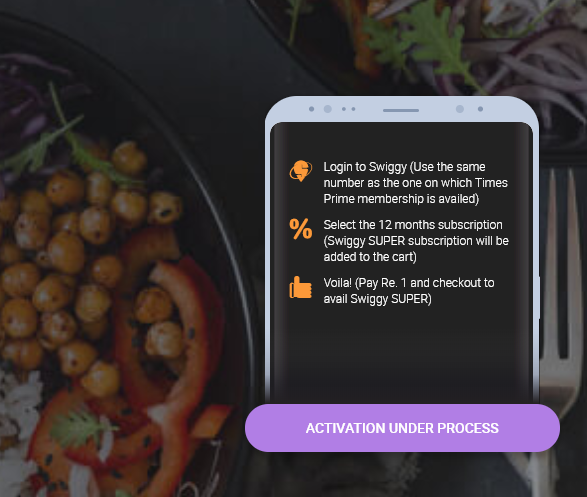 Timesprime is giving you a chance to buy Swiggy Super Membership at Re.1 instead of the regular pricing. Get now !! 3. You will see “Activation under process“. Wait for upto 72 hours. You will receive an SMS about the same. This deal only for TimesPrime subscribers.